Our review of one of the most desired themed chess set ever created. Across all great works of fantasy, dragons exist as the embodiment of power, wisdom, and greed. What better mascot could there be to lead you to victory in chess? Use their unparalleled power to overtake your enemies pieces, their wisdom to avoid any traps the opponent may try to lay for you, and harness their greed to encourage you never to stop or let up until you’ve taken all that your enemy has to give- including their King! Dragons are an ultimate force of destruction, much like you will be on the chessboard with a finely crafted Dragon themed chess set. Yes, they really do exist! Forget about boring castles and horses – your dragons could destroy them with a flick of the tail or gobble them up in one bite. Kings and Queens become even more intimidating royalty when they’re fire-breathing, treasure hoarding dragons. When it comes to themed chess sets, there’s really nothing better. Dragons are at the very top of the food chain, so all other chess sets are just inferior by default. 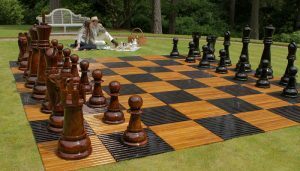 Just imagine for a moment the looks on your friends face when you offer to play a game of chess with them and then lead them to a resplendent, 3D chess board complete with draconic themed pieces. They definitely won’t be expecting that! 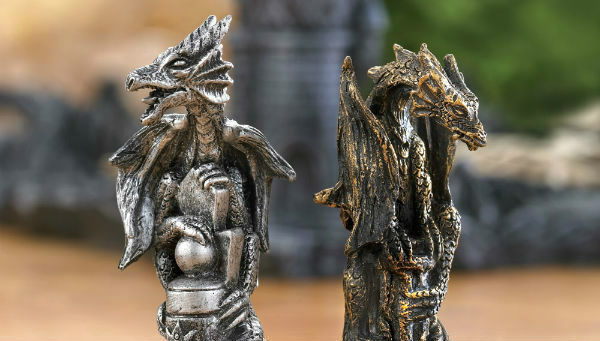 A dragon themed chess set will impress anyone- whether they’re a Game of Thrones fan, a Lord of the Rings lover, a Dungeons and Dragons player, or just someone who is able to appreciate cool stuff. But where can you get such a chess set? Look no further, because we’ve found you the perfect Dragon chess set to impress your friends with. Here it is in all its glory: The 3D Dragon Chess Set from Chess House. 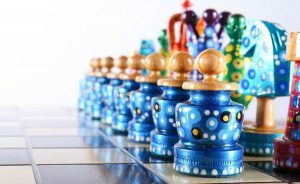 It is one of the most popular and best selling chess sets ever made, and it’s easy to see why that may be. This Dragon Chess Set is truly a work of art, and honestly, we don’t think it would be out of place in an art gallery or museum. 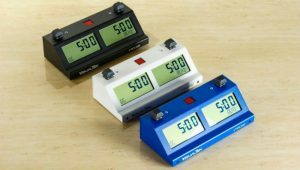 It will certainly give your home, office, or lair an air of sophistication. Not to mention intimidation! 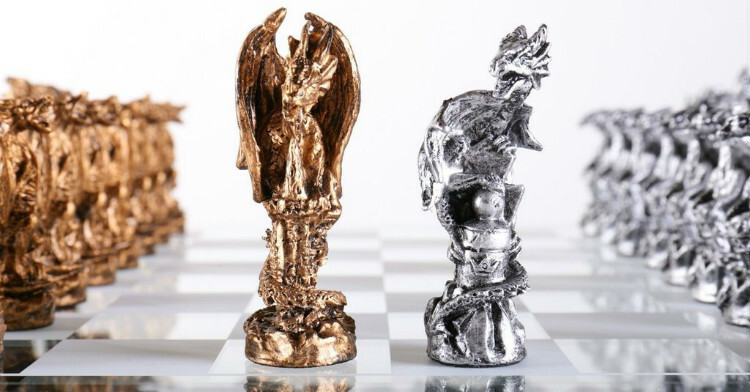 The chess pieces are made from die-cast metal in the form of, of course, majestic metallic dragons of bronze and silver color. You can see the King dragon perched majestically atop a spire, the Queen placidly surveying her domain, the bishop wound around a decorative cross, the knight with a shield clasped in his claws, and the rook fiercely protecting its tower. The pawn pieces are smaller dragons perched on a pedestal, ready to do their master’s bidding. These pieces all interact with each other on a glass stage with a checkerboard of crystal clear and frosted squares. The chessboard itself is very elegant, but the jewel of this entire Dragon chess set is the 3D arena over which the board and pieces are suspended. The base of this set is a sculpted landscape of castle towers, valleys, and dragon bones. It’s obvious from the black color that the whole scene has been heavily blasted by dragon fire over the course of numerous battles. Even a few dragons have fallen during these battles, leaving their gigantic skeletons at rest in the bottom of the valleys. The glass chessboard of The 3D Dragon Chess Set can be removed from the sculpted base, which makes it easy to clean or to play with on its own, perhaps with a less majestic set of chess pieces that would just look silly against the stark backdrop of scorched earth and dragon skeletons. This set is the most sought-after Dragon chess set of 2019. With one glance at its spectacular design and craftsmanship, it’s not hard to see why. If you, like a dragon, are constantly on the lookout for newer, better things to add to your own personal hoard of treasures, we can not recommend this dragon chess set enough. 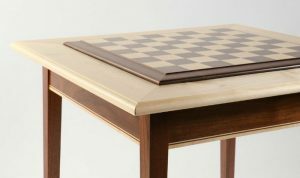 This chess set not only allows for a great game of chess, but it also stimulates the imagination. While playing with this dragon chess set, you can pretend to be anything from a powerful wizard to the mother of dragons. 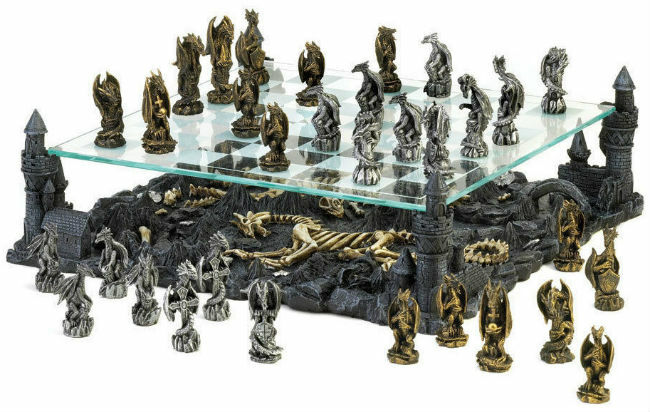 Or, if you happen to be a dungeon master in a game of dungeon and dragons, imagine how cool it would be to have your players play chess against a dragon using this 3D Dragon chess set! If they win, they gain a powerful ally, but if they lose- well, they had better start running now, or they might just get eaten. The possibilities are endless. 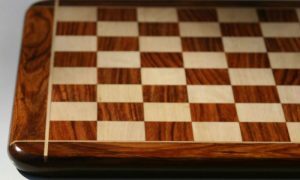 This page is just one in a series of other articles about themed chess sets. If dragons aren’t your thing, we recommend that you check out some of our other articles in this series! 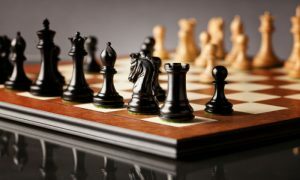 We have reviews on all different kinds of chess sets available in 2019, including Batman chess sets, Isle of Lewis chess sets, Mario chess sets, and many more. We’re adding more all the time, so make sure you check back on the main themed chess set page often so you don’t miss out! 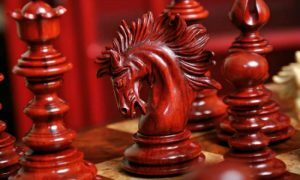 The Best Chess Set for Sale: List of the Highest Quality Chess Sets of 2019.